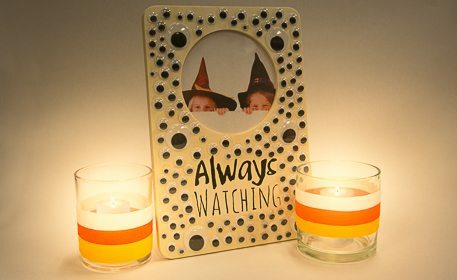 Keep all eyes on your favorite Halloween photograph when you use it with this “Always Watching” frame of your own creation! This decoration is great for all ages and will surely be a treasured keepsake for years to come. 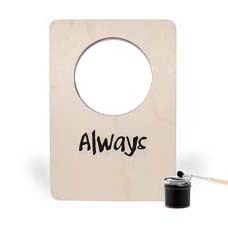 Using a medium paintbrush, write “Always” in black paint on the center of the frame. 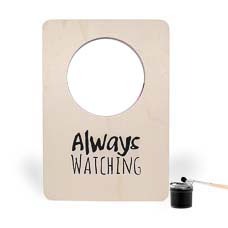 Using a thin paintbrush, write “WATCHING” in black paint beneath “Always”. 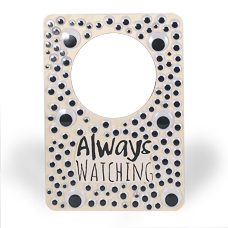 Use the assorted wiggly eyes to decorate the rest of the frame. You may use as many or a few wiggly eyes as you wish! Insert a photograph and display this SIGHT for all your Halloween visitors to view!